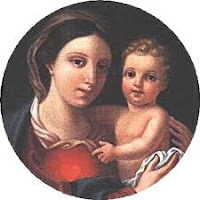 Blessed Mother,grant me some measure of the faith you exhibited, so that I, too, may trust in God, be obedient to His Holy Will, and know His great Love for all. Help me to enter into the mystery of the desert in these days of preparation for the greatest mystery of all: the Death and Resurrection of your Son. How about you? What are you hoping to do this Lent? Marvelous idea. A gal can always learn to better trust in the Lord - in imitation of the Blessed Mother! For me, I'm going to cease nagging. I didn't think I did it, but oh was I wrong. Going to be tough, I suspect, since I was mostly doing it unconsciously.